This is a beautiful kitchen design all around. 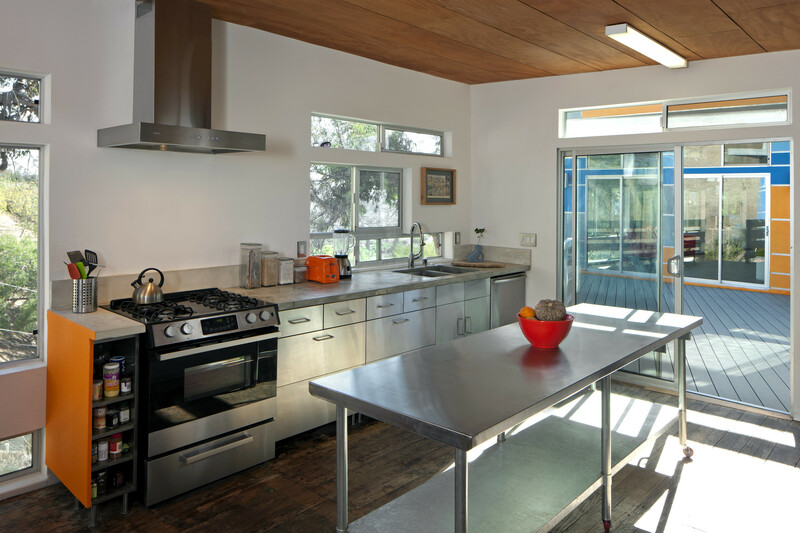 But the highlight is clearly the broad stainless steel kitchen worktable. Doubling as a kitchen island, the table is large enough to accommodate multiple chefs preparing multiple dishes. The timeless, industrial styling looks as good today as it would have 50 years ago which bodes well for the future. The worktable doesn’t just look good. The simple lines make for easy cleaning.